Community coalitions have been promoted as a strategy to help overcome challenges to the dissemination and implementation of evidence-based prevention programs. 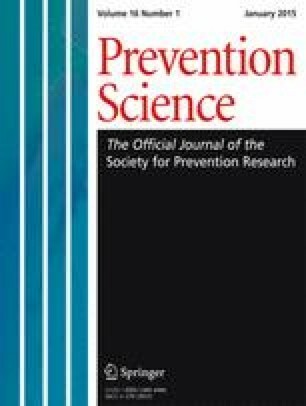 This paper explores the characteristics of coalitions that enable the provision of implementation support for prevention programs in general and for the implementation of evidence-based prevention programs with fidelity. Longitudinal cross-lagged panel models were used to study 74 Communities That Care (CTC) coalitions in Pennsylvania. These analyses provide evidence of a unidirectional influence of coalition functioning on the provision of implementation support. Coalition member knowledge of the CTC model best predicted the coalition’s provision of support for evidence-based program implementation with fidelity. Implications for developing and testing innovative methods for delivering training and technical assistance to enhance coalition member knowledge are discussed. National Center for Educational Statistics. (2012). Poverty status of families by school district 2005 to 2009. Retreived from: http://nces.ed.gov/surveys/sdds/acs09/acsdownload.aspx. Shapiro, V. B., Oesterle, S., Abbott, R. D., Arthur, M. W., & Hawkins, J. D. (2013). Measuring dimensions of coalition functioning for effective and participatory community practice. Social Work Research. doi: 10.1093/swr/svt028.